Almost every homeowner has heard this advice, but many learn it the hard way – especially after hiring the wrong person to work on their house. Working with the right contractor or remodeling company makes it more likely that you’ll get your desired result, within your budget and in a reasonable amount of time. But how do you find the best contractor? We partnered up with Justin Odell from Odell Construction to find you some tips to help in your search. Do I Need to Hire a Contractor in the First Place? Anything more than a minor cosmetic update, such as painting or replacing existing hardware. An intricate project with many design details. 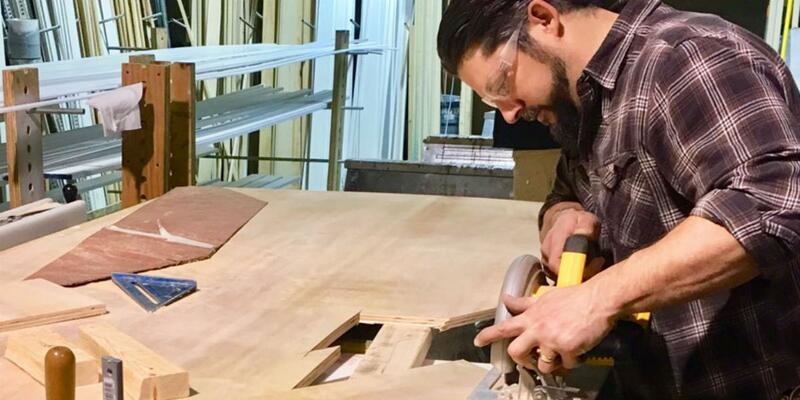 Installing anything custom-built that requires precise measurements, like kitchen cabinetry. 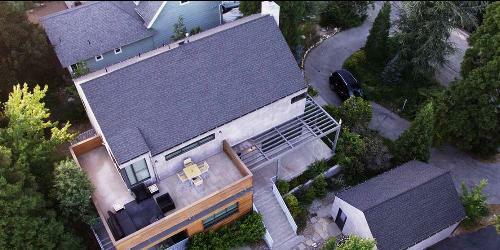 If you are unfamiliar with local permit and building code requirements. This would apply to any new home or garage additions. When Should I Start Looking for a Contractor? If you’re looking to hire a contractor to give you the kitchen of your dreams, don’t put off starting the research and quote process. Pro Tip: Keep these time allotments in mind when planning your remodel. If you want to renovate your covered porch, start planning the project in February. This gives you plenty of time to finalize the design, have the contractor perform the work and enjoy the finished product during summer. So how do you avoid getting burned? Here’s what to double check to make sure you are hiring a quality contractor. Industry Affiliations: Check to see if they belong to any local or national organizations. Qualifying for membership usually means they have a track record of ethical behavior and quality work. Company Structure: It's important to know who will be working in your home and if the organization has a project manager to serve as your point of contact. Odell also recommends comparing quotes from similarly structured companies to get an apples-to-apples comparison. Registration: In order to legally perform any remodeling projects, the contractor must be registered in your city. Portfolio of Work: If there isn't a complete portfolio of work on the website, ask them to provide some before, during and after pictures of some recent projects. Make sure they have experience with similar projects to your and can produce results at the quality level you expect. Awards and Ratings: Third party and independent rating systems are important factors to consider when hiring a contractor. A high BBB rating, Houzz awards and NARI (National Association of the Remodeling Industry) mentions are all signs of a trustworthy company. While noting a company’s qualifications, also look out for these signals of potential trouble down the line. Requesting full payment up front. Typically, a deposit is required up front and the remaining balance is paid when the job is complete. Any communication issues, including unanswered calls or emails. How they respond to negative customer reviews online - check social profiles, Angie's List and BBB. No contract, written scope of work or drawings. Refusal to guarantee or warranty their work. Most contractors will offer a warranty for a set period of time in case anything needs to be repaired. Any ambiguous answers to your questions. Whether it's the timeline or materials being used, your contractors should be able to tell you specifics about your project. You should expect open communication at all times and a contract that clearly lays out the project scope, timeline and payment terms. Only hire a company that is licensed, insured and provides workman's compensation. Make sure you truly trust the contractor or company as a partner in your project. If something were to go wrong, would they make it right? Choose a contractor that you feel deeply comfortable with. They will be working closely with you throughout the course of the project and spending a lot of time inside of your home. Odell recommends attending “a local home improvement show to gauge compatibility and character.” If there aren’t any shows scheduled, set up an appointment to meet face-to-face at their office. Finally, keep your remodeling budget in mind throughout the process as well. “If the budget is off, consider saving until [the renovation is] necessary. You’ll want the project done correctly and to your needs the first time around without cutting corners or giving up on non-negotiables,” explains Odell. Remember to ask your hired contractor if they handle and manage waste removal or if you’ll need to order a residential dumpster for the debris. This may add to your project budget, so it’s important to ask about this upfront. Feeling inspired to start planning your next project? Read our list of interior design trends for 2018. Learn how to prioritize home projects when you can’t do it all at once. We lay out the best home upgrades to focus on first for the biggest impact. 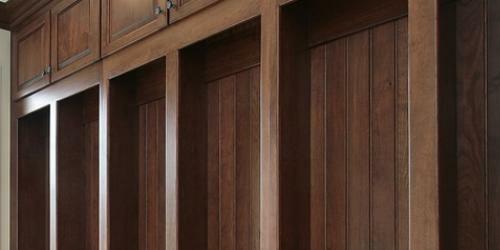 If your coat closet is located in a narrow hallway, the best option is to turn it into a 'mini' mudroom. Turning your catch-all closet into a functional space with plenty of storage is simpler than you think.